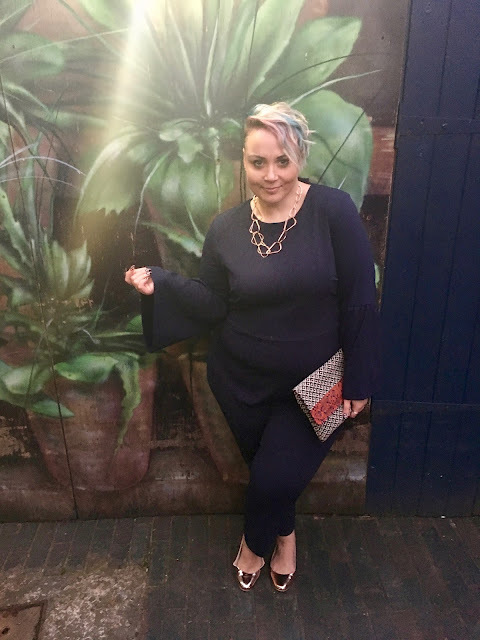 I headed over to Birmingham this weekend to attend the StyleXL Awards, the informal do, put together by the lovely Leah celebrated those who were nominated at the sadly defunct British Plus Size Awards that were cancelled at the last minute. I was there representing The Curve Fashion Festival which is happening in September. Click the link to find out more, it's going to be a corker!! 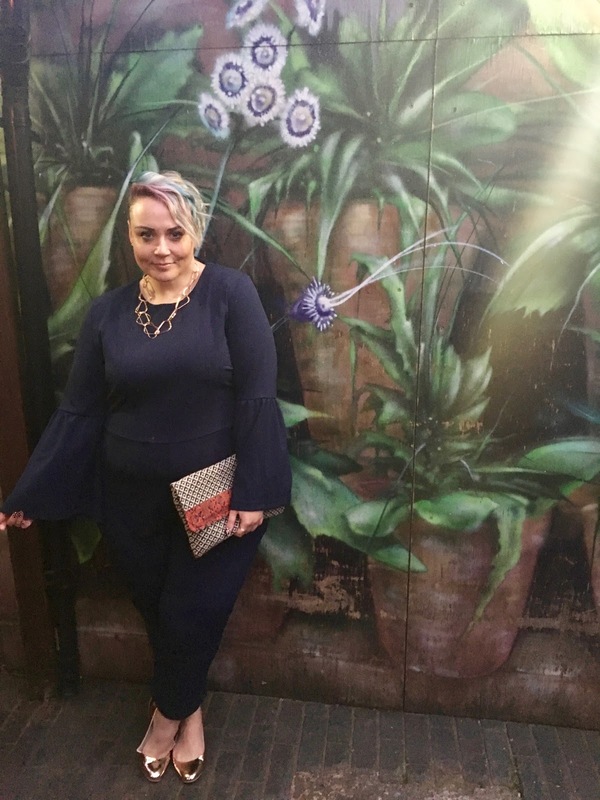 I thought I'd quickly share my outfit with you, I wore this bell sleeved jumpsuit from ASOS, which was a steal at £18 in the sale. I'll be completely honest, I was a little put off, because it looks a bit crap on the model, I think it's too big for her, but once I got it on, I absolutely fell in love with it! 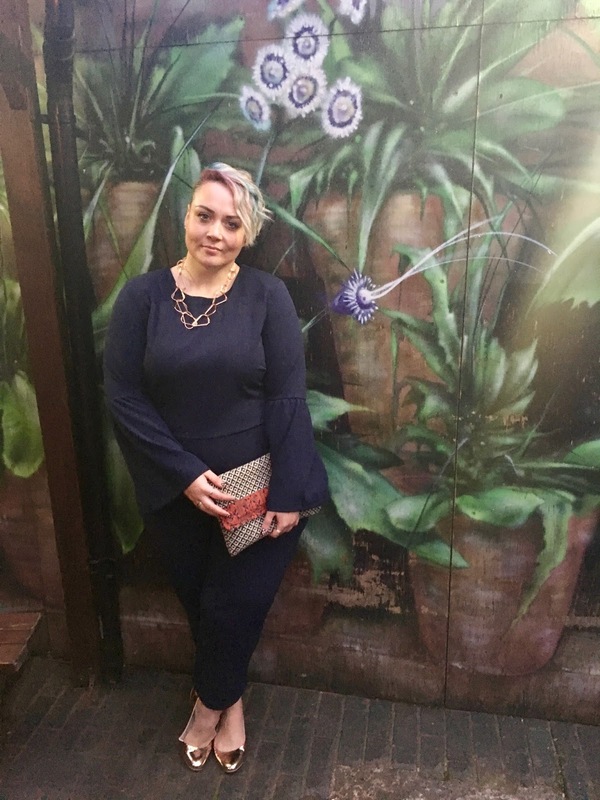 My rose gold shoes are ASOS too, the handbag I nicked from Em, and my necklace is Topshop. 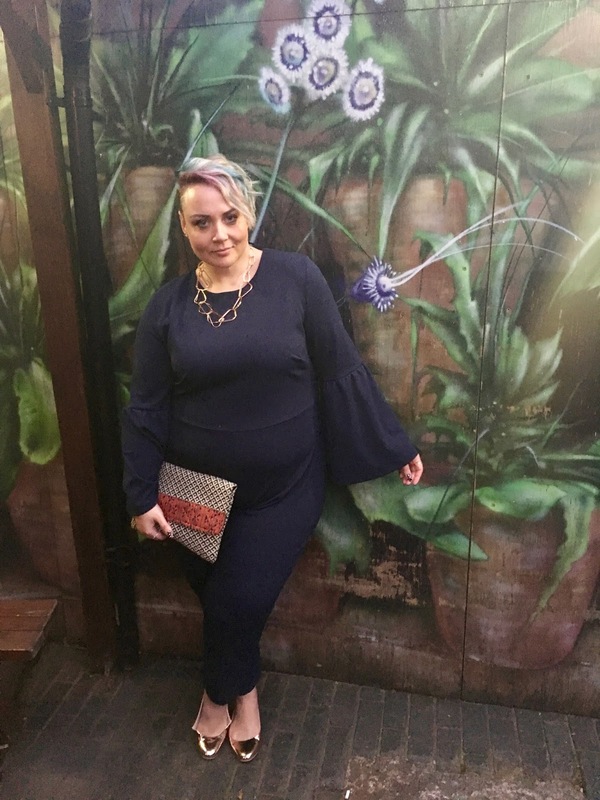 I tend to go into Topshop every couple of months and buy a few bits in the sale to top up my accessories, love their stuff but it's a bit pricey so I just go bargain hunting when I can! And the highlight of my night? Seeing these babes of course! Blogging has brought me a LOT, but I cannot be more thankful for the friendship and support of these three wonderful women. great look! love the accessories.